The posters are sized to 11x14". You can have these printed at that size at a local copy shop, office supply store, or membership club. They also come out nicely on a standard sheet of 8.5 x 11" copy paper, so they're easy to print out at home. 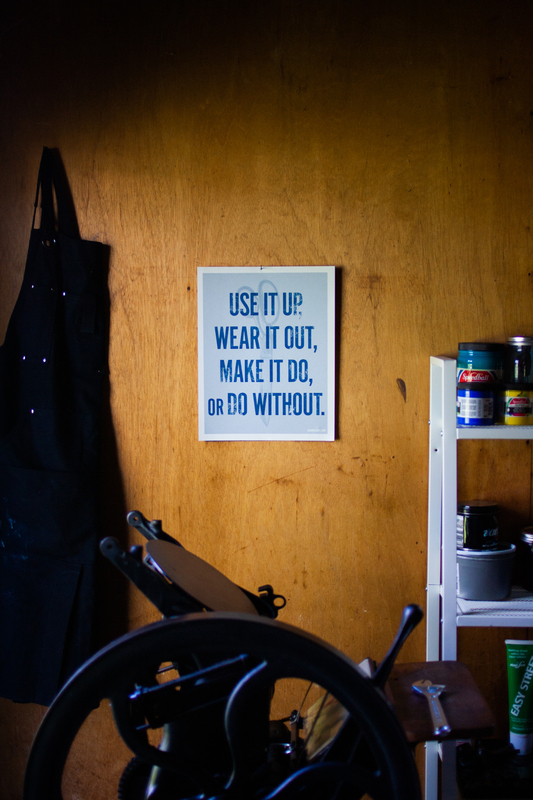 You can frame them if you want, but we think they look great just tacked up to the wall above your workbench. 1. 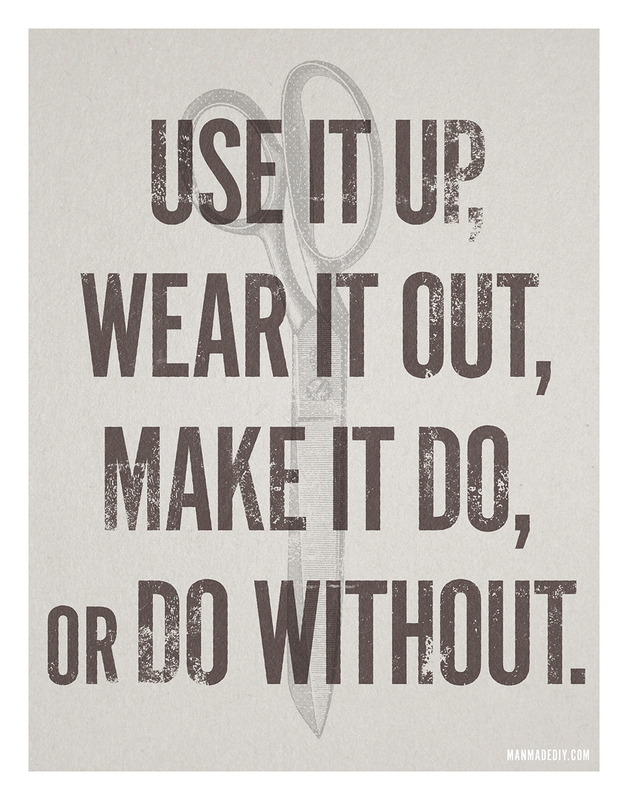 Use it up, wear it out, make it do, or do without. The DIY approach to life is necessarily a thrifty one. Be sure to mend, not spend. An important reminder that you probably already have everything you need to go after your next great project or adventure. This one's a personal favorite, and I tell myself often. 3. 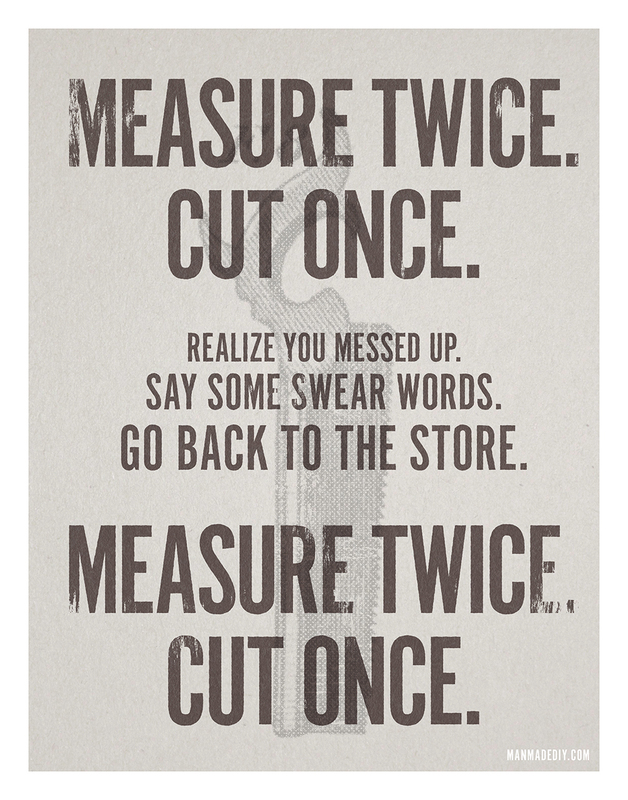 Measure twice. Cut once. Realize you messed up. Say some swear words. Go back to the store. Measure twice. Cut once. 4. 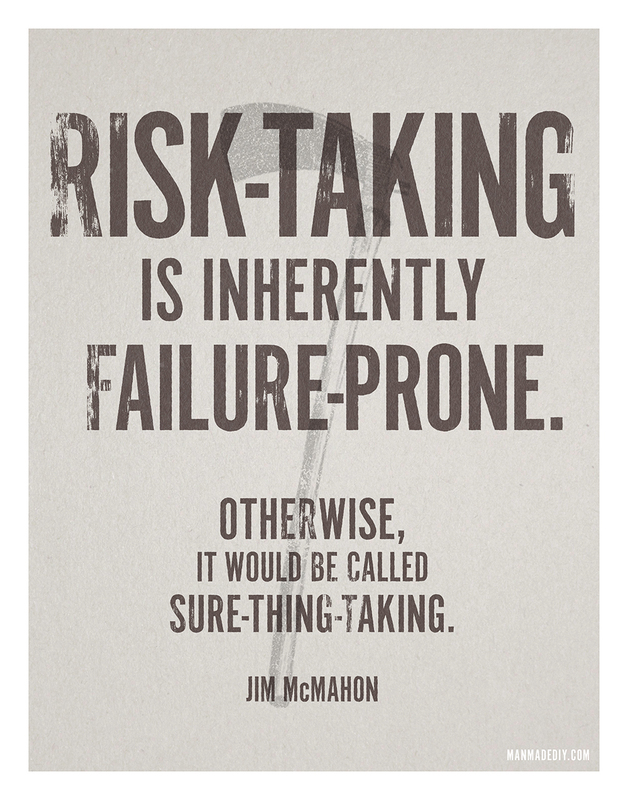 Risk-taking is inherently failure-prone. Otherwise, it would be called sure-thing-taking. You're going to make mistakes. The mark of a true craftsperson is knowing how to fix them. 5. 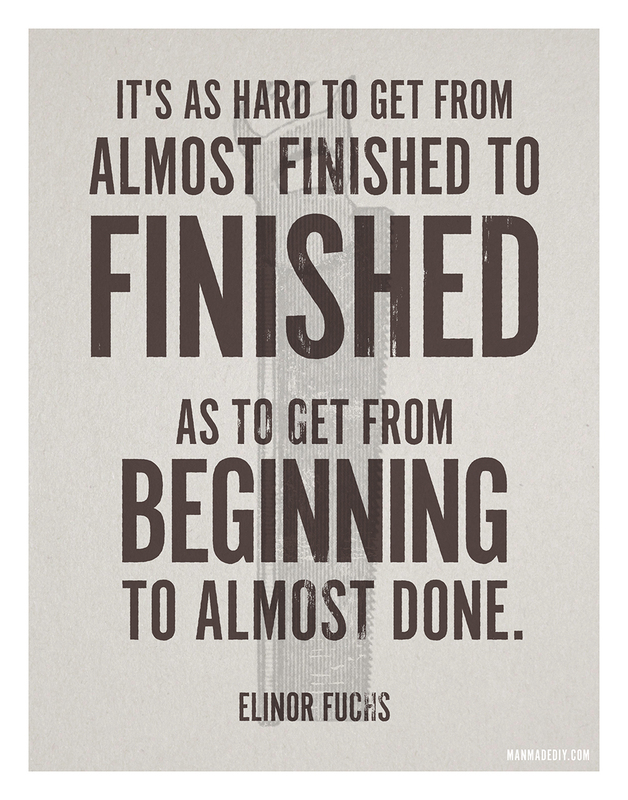 It's as hard to get from almost finished to finished as to get from beginning to almost done. Essential to remember when you've made major progress on a project, but are just now realizing all the fussing and fiddly bits that will take it from good to great. Don't give up. 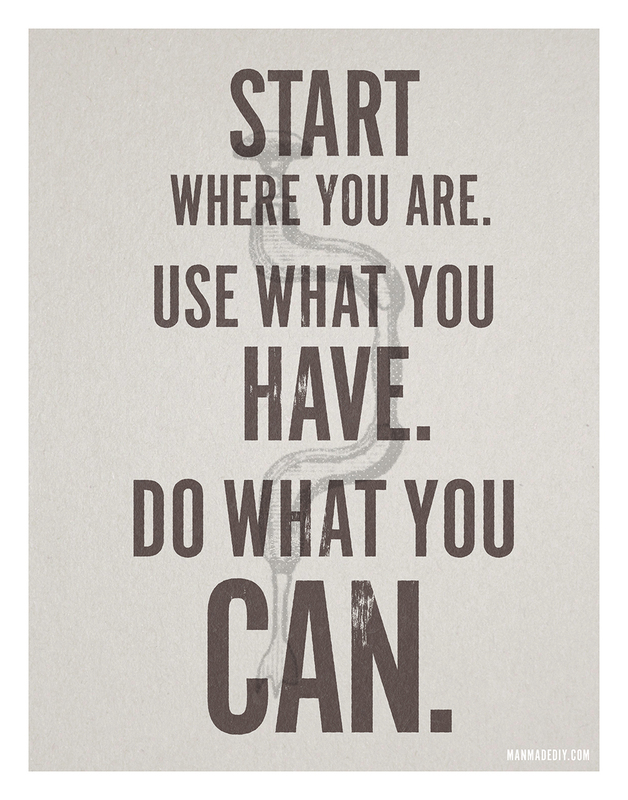 The real work starts here. 6. 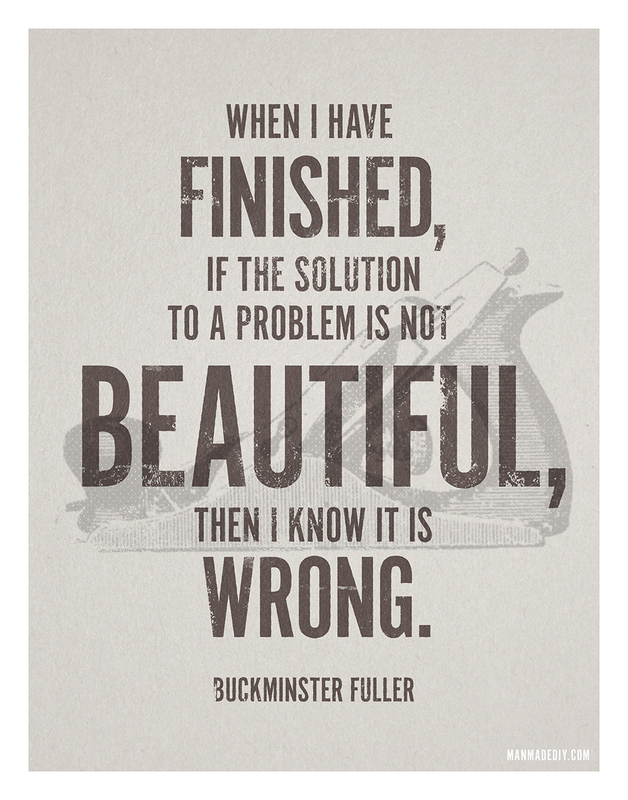 When I have finished, if the solution to a problem is not beautiful, then I know it is wrong. Because it's those aha moments that keep us creative, and help us keep going. Look for the beautiful solutions. They'll always be the most satisfying. 7. One who works with their hands is a laborer. One who works with their hands and head is a craftsman. 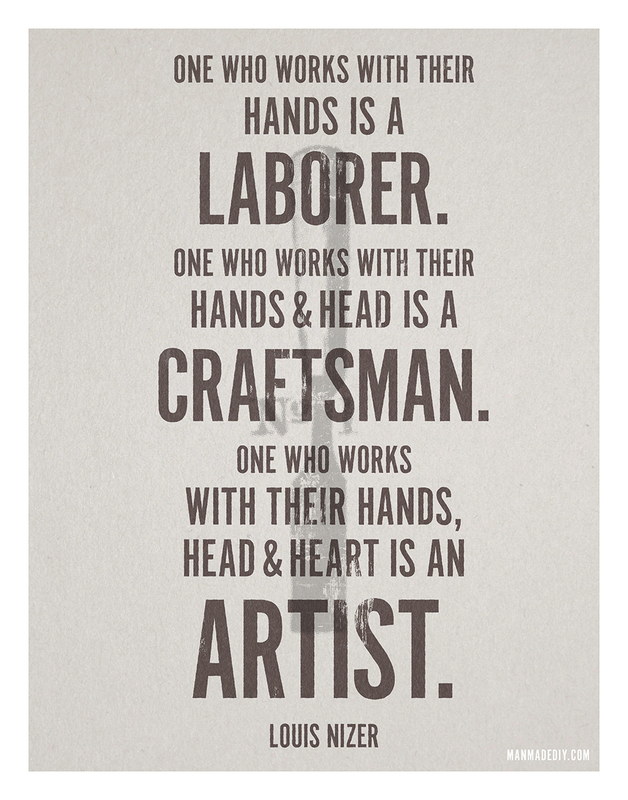 One who works with their hands, head, and heart is an artist. 8. 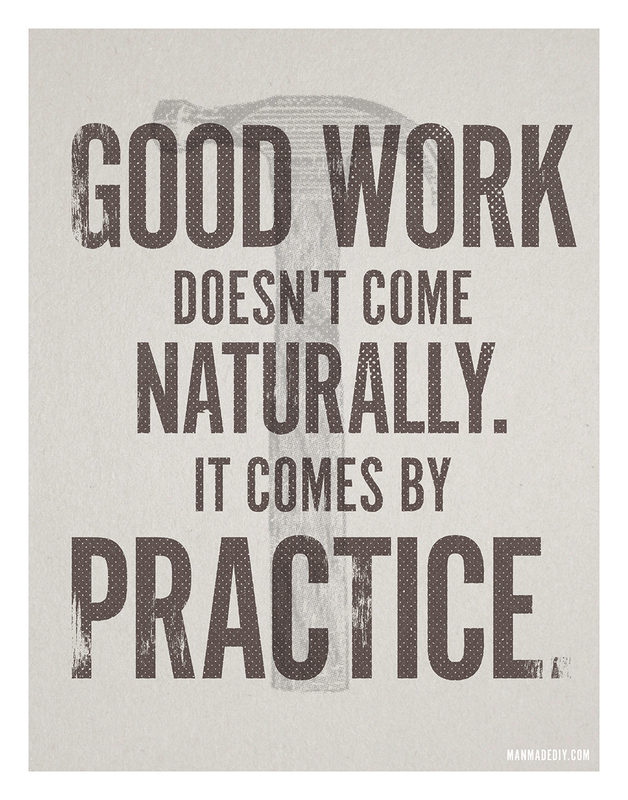 Good work doesn't come naturally. It comes by practice. Craft is developed through repetition. 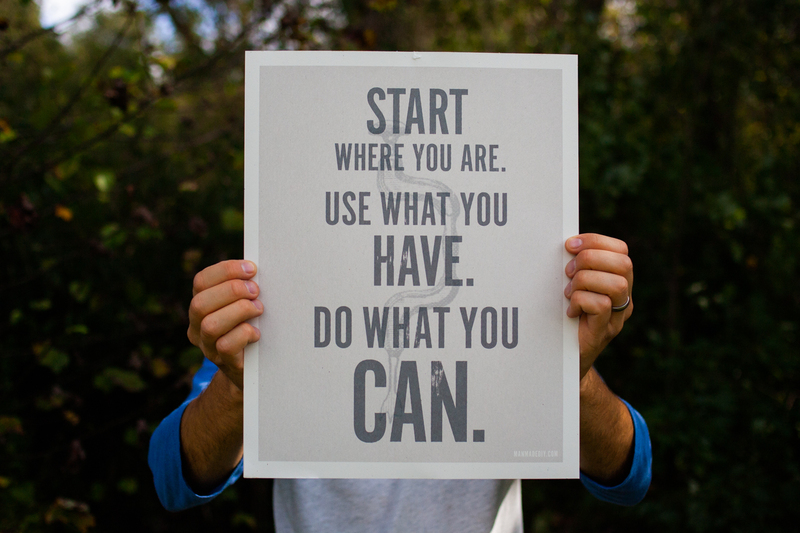 You won't do something perfectly the first time you try. That's the whole point of learning. Feel free to download and share as you like. They're our gift to you. If you hang them up, please share a pic on Instagram, and tag us with @ManMadeDIY and the hashtag #manmadediy. Thanks! Is it jjust me or is the download for #7 missing? You didn't include the links to number seven! I know you've mentioned him before, but love Jimmy DiResta's, "If it looks straight, it is straight". Also a big fan of the line from Mad Men, "Make it simple, but significant"